On her: Dress by Natalie Martin; available at Barneys NY, Scottsdale Fashion Square. On him: Knit pullover and slim pants by John Varvatos; both available at Barneys NY, Scottsdale Fashion Square. Silk shell and sweater with gold wrap necklace by Brunello Cucinelli; pants by Michael Kors; all available at Saks Fifth Avenue, Biltmore Fashion Park, Phoenix. 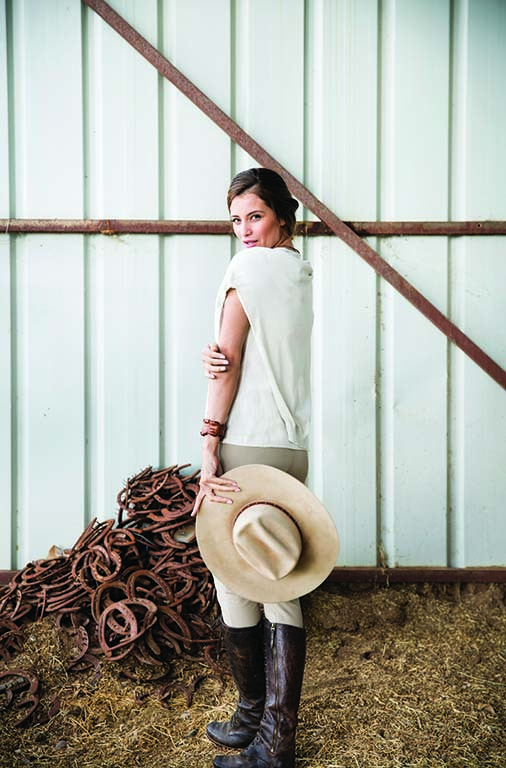 Crocodile cuff by Kulu, and hat available at Pinto Ranch Fine Western Wear, Houston. On her: Tank with knit pullover by Brunello Cucinelli; earrings by Alexis Bittar; both available at Saks Fifth Avenue, Biltmore Fashion Park, Phoenix. On him: Cashmere sweater by Barneys; available at Barneys NY, Scottsdale Fashion Square. 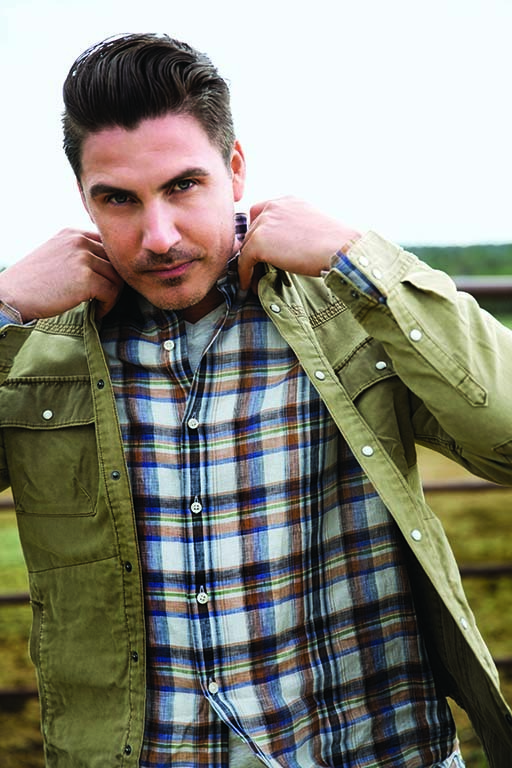 Shirt by Saks Fifth Avenue; jacket by Madison Supply; both available at Saks Fifth Avenue, Biltmore Fashion Park, Phoenix. Sweater by Isabel Marant; silk shorts by Natalie Martin; earrings by Alexis Bittar; all available at Saks Fifth Avenue, Biltmore Fashion Park, Phoenix. Shoes by Peter Nappi. 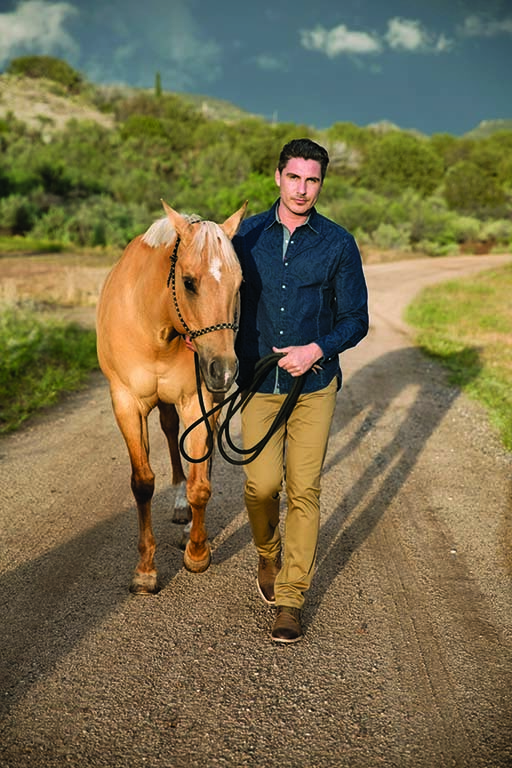 Shirt by Robert Graham; available at Pinto Ranch Fine Western Wear, Houston. Pants by Theory; available at Barneys NY, Scottsdale Fashion Square. Boots by Peter Nappi. Dress by ATM; available at Barneys NY, Scottsdale Fashion Square. Belt by Streets Ahead; available at Saks Fifth Avenue, Biltmore Fashion Park, Phoenix. Hair and makeup: Diane Aiello. Production coordinator: Erik Shearer/Get It Productions. Models: Sam and Radu/The Agency Arizona. Shot on location at M Diamond Ranch near Sedona, Arizona.